Lawmakers float property tax bill by removing mortgage interest deduction for non-owner occupied homes. House Bill 2006 is set for a hearing today in the House Human Services and Housing Committee. House Bill 2006 would strip away the mortgage interest deduction for all non-owner occupied homes. This would be a colossal tax on people with second homes and rental property. Ironically, politicians wish to make life more affordable for renters while simultaneously skyrocketing the property taxes of the rental property. It is a tax death spiral and a compounding of thoughtless short sighted policy making. Once again, the bill’s sponsor is anonymous. No one knows who it is and is hiding behind a wall of anonymity. 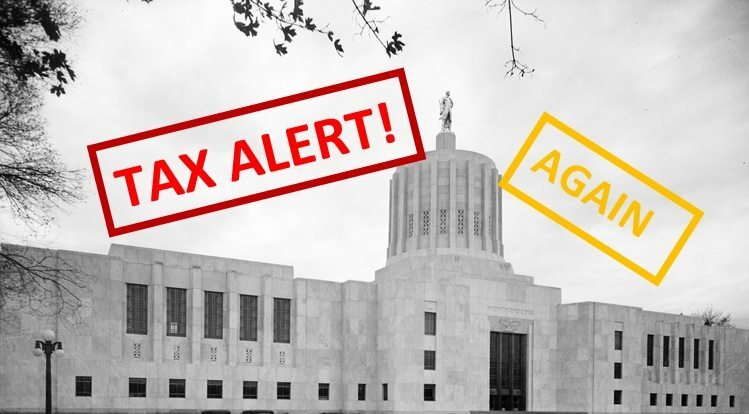 — Support the Taxpayer Association of Oregon lobby watchdog efforts with a donation here. Capitol Tax List: Over 50 taxes proposed!